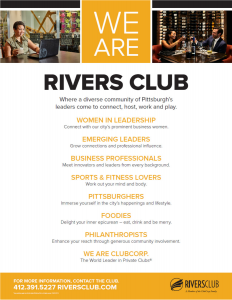 All attendees to AMA Pgh events held at the Rivers Club will receive a 3 day guest pass— a $150 value! All attendees receive a FREE BOOK & $150 RIVERS CLUB GUEST PASS! 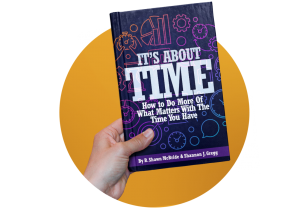 Your FREE copy of Shannon’s book,It’s About Time, will dramatically transform your approach to productivity and time management. The authors have launched businesses, had full-time families and careers, and found ways to achieve and surpassed their goals by focusing on total time management. Pittsburgh native, Shannon J. Gregg, President of Cloud Adoption Solutions and Principal Consultant with M.Masters, joins us for an engaging conversation about the impact of gender bias on marketing. There’s never enough time—the business demands of Marketing Professionals often compresses creativity. But what if it didn’t have to? Shannon J. Gregg, President of Cloud Adoption Solutions, and co-author of “It’s About Time”, understands the time constraints todays multi-tasking professionals are under and proposes an opportunity to leverage your skill to meet your will. 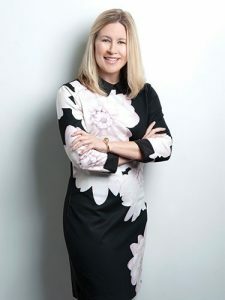 Shannon brings 15+ years of Sales Operations and Enablement experience to her audiences, speaking with her charismatic candor on topics such as Sales Productivity, Sales Operations, and Technology Adoption for business development and commercial teams.